Superheroes change their costumes from time to time, whether it be for story purposes or because someone else has taken over the role. There are times when these changes occur and I end up liking the redesign more than the original. Here are eight of my favorite versions of superhero costumes! I'm a big fan of Spider-Man. He was the first hero I ever liked as far as I can recall. I have no problem with the classic outfit, but the Ben Reilly costume is just so perfect. This costume came about around the time I originally got out of comics. I love the over sized spider logo that wraps around his body, and I even love the silver bracelets! I feel like if this costume replaced the classic outfit I'd have absolutely no problem with it. It's a perfect redesign. All that being said, I don't have any particular love for the Ben Reilly character, just the costume. I've never really liked the Scarlet Spider outfit, either. This is the Wolverine costume, as far as I'm concerned. The design makes a lot more sense for him as a wild man of the forest than a bright yellow and blue outfit, and aesthetically I think it just looks so cool. This costume is the one that Wolverine was wearing when I first got into comics in the early 90s. It could be mostly nostalgia that I like it as much as I do, but I honestly think it's more than that. The brown costume Wolverine is tops in my book! 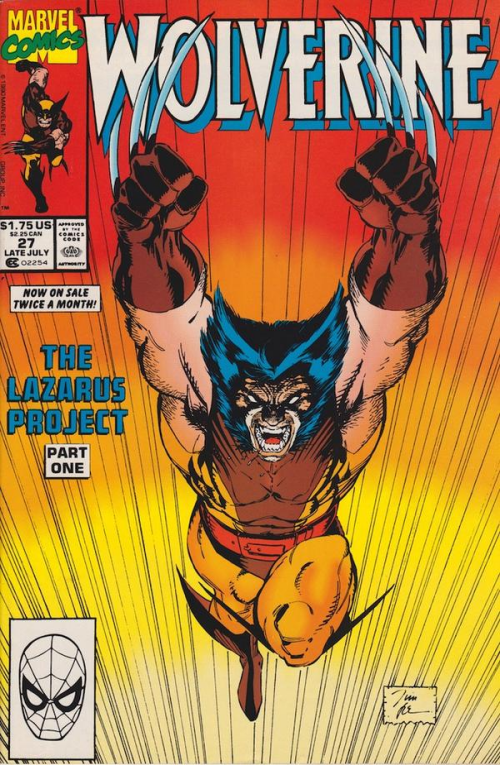 Sure the yellow and blue costume that was the norm around the time the X-Men cartoon was on Fox is pretty cool, but this one just speaks to me. 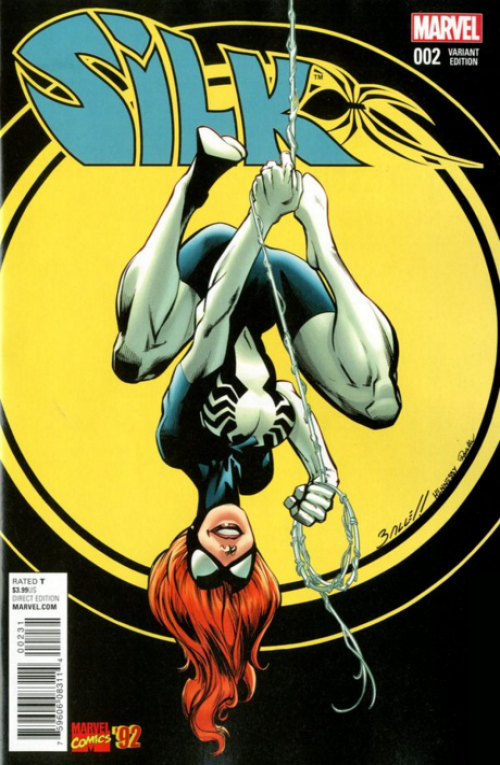 While not the first Spider-Woman, to me Julia Carpenter's first costume definitely outranks all other costumes worn by all other spider-women. It's so good that Peter Parker "subconsciously" redesigned his suit during the Secret Wars to match her's when he got his black costume. Yeah, man. "Subconsciously." Just admit that it's awesome, Peter! The red and black Jessica Drew Spider-Woman costume is great in its own way, but I really like the design of Julia Carpenter's suit. Ms. Marvel's original red suit doesn't even begin to compare to this one. While she is known to wear this outfit more than any other, it's still my favorite. I don't recall the first time I ever became aware of Ms. Marvel, but I really got into the character in her second series from 2006. This is the outfit she wore throughout almost the entire 50 issue run. I'm hoping that there is more Ms. Marvel merchandise released when Captain Marvel joins the Marvel cinematic universe! Surprising, maybe, but I love the Bucky Captain America costume design. I think it's the shiny metallic blue chrome look that I love so much. I like too how his lower body is just all black. Top to bottom, this costume really grabs my attention. 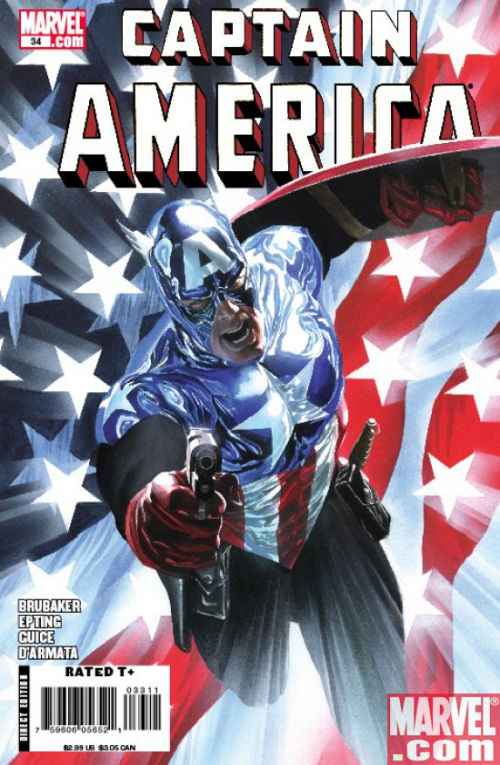 Of course now I expect there to be some awesome redesign of Captain America's costume in the Marvel cinematic universe when Sebastian Stan inevitably takes over the role. At least, that's what I assume will happen. Not that I want anything to happen to sweet dove Chris Evans. Gray Hulk, to me, is just more interesting than the green one. I have never enjoyed Hulk all that much, partly due to the whole, "Hulk get mad! Hulk get strong! Rrraaarrrggghhh!" way he is presented. He's a mindless savage who is very strong, but not very interesting to me. 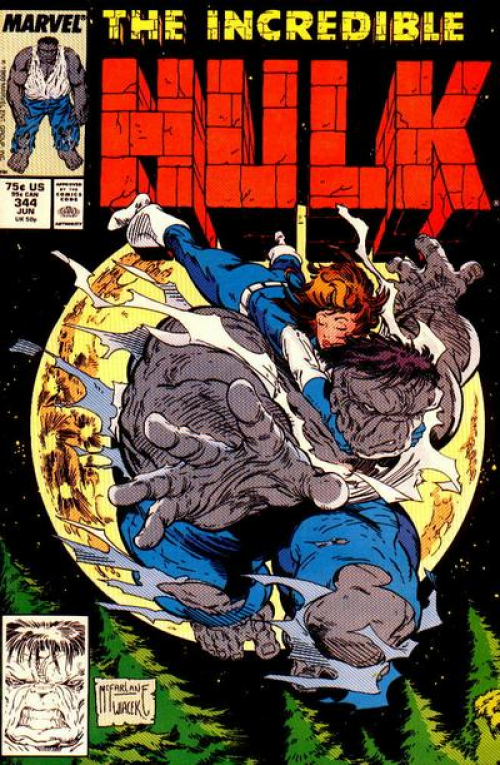 The gray Hulk is a bit more interesting, however, as he isn't so one-dimensional. Hulk originally appeared gray, but he was soon changed to green because of issues with the ink. I think the green Hulk is more popular (definitely more iconic) so it's probably for the best that this version of Hulk hasn't been seen for some time. I like how the gray one looks, though. I almost hate to do this one because I feel like this is just "oh, it's just his standard costume" and most of the others are some variation. 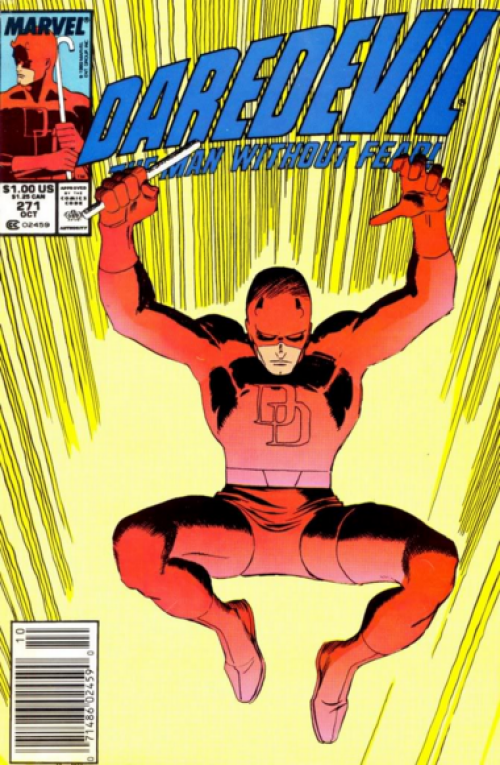 I could be unique and say the yellow costume, which I do really like, but I feel like for a character with devil in his name he almost has to be red. Changing the suit was a great idea and it happened very quickly. The only thing about the costume is that it doesn't allow for much customization before it becomes a completely different outfit. You kind of have to leave this costume alone. They did give him that red and black armored outfit in the 90s that I thought was okay, but the classic red is still my favorite. 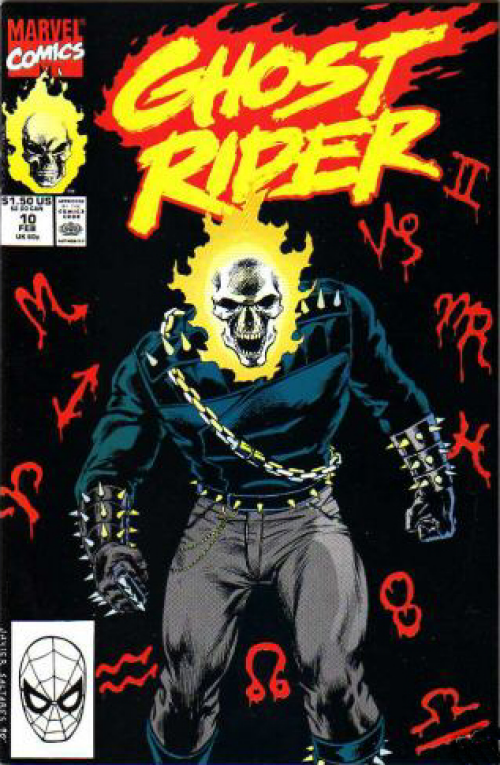 When I got into comics as a kid, the Danny Ketch Ghost Rider was the only one I even knew existed. I had no idea there was a totally different Johnny Blaze Ghost Rider from the 70s. When I saw what the original Rider looked like (excluding the Western one) I knew that I vastly preferred the current one. He has an awesome motorcycle that looks totally 90s, and his outfit looks like what I would describe if asked "what do you think someone in a 90s biker gang would look like?" 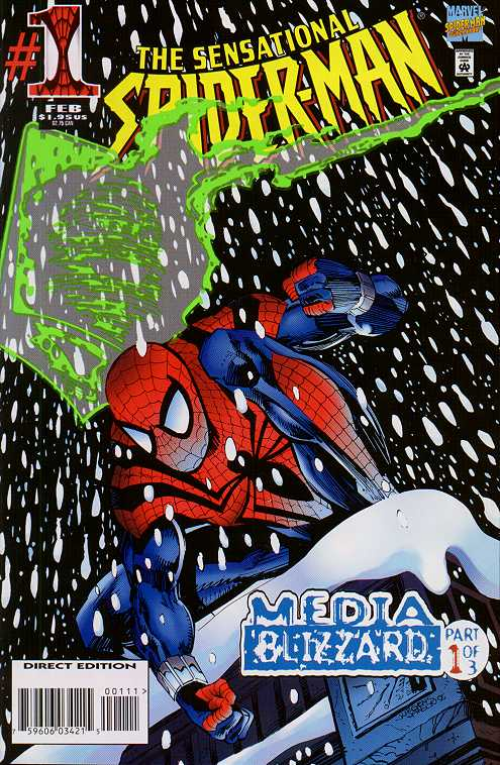 As is the case with Ben Reilly, I don't really have any attachment to the character, just the costume. And there you go! I don't think any of these opinions are too controversial. You might be asking where the DC characters are, but I just don't feel that strong about any of their costume changes. Batman has some cool redesigns, but other than him, I don't know. Maybe a future article! Do you have any costume redesigns that you prefer to the original? Let me know!